Metalworking: Data - more than power tools! 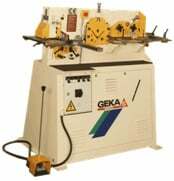 We are a south wales based supplier of specialist tools and metalworking machinery for metalworkers of all kinds. 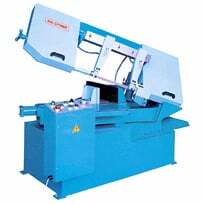 We are suppliers of industrial machinery such as horizontal and vertical bandsaws, drilling machines, universal steel workers, bar and tube benders, belt grinders, ring rollers, linishers, hydraulic and mechanical guillotines and presses. An extremely versatile saw for cutting metal pipes, bars and section. 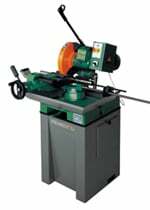 An economical semi-automatic mitre cutting bandsaw with swivel bed. Hydraulic drive machine, with 3-4 stations for working on the shearing, punching and forming used in metal lock work. We supply specialist power tools for the fabrication industry. We are suppliers of power tools such as steel polishers, burnishing / finishing machines, dynafiles, pipe sanders / polishers and magnetic drills. Brands that we supply include Geka, Pedrazolli, Fein, 3M, Ercolina, Lenox, Bahco, Metabo, Flex, Ibarmia, Grit, Imet, Kasto, Sealey, Dynabrade, Bigstone, Excel, Klingspor and Alfra. These include zirconia belts, surface conditioning belts, trizact kits, clean'n'strip discs, roloc discs, cutting fluids, SHSS sawblades, m42 bi-metal bandsaw blades, punches, dies and impact sockets. Let us help you improve your productivity. We have experts in your field who can solve these issues and recommend the best and most cost effective method of achieving your goals.